More Can’t Miss May Mystery Releases! Here are a few more absolutely can’t miss mystery releases for May. I know I am really looking forward to Leonard Goldber’s new release, “Patient One”. I read his entire Joanna Blalock series which was excellent, then he seemed to fall off the face of the planet. I was worried he wasn’t writing anymore, but here he is again, thank goodness. Happy reading! On the heels of the international bestseller Only Time Will Tell, Jeffrey Archer picks up the sweeping story of the Clifton Chronicles…. Only days before Britain declares war on Germany, Harry Clifton, hoping to escape the consequences of long-buried family secrets, and forced to accept that his desire to marry Emma Barrington will never be fulfilled, has joined the Merchant Navy. But his ship is sunk in the Atlantic by a German U-boat, drowning almost the entire crew. An American cruise liner, the SS Kansas Star, rescues a handful of sailors, among them Harry and the third officer, an American named Tom Bradshaw. When Bradshaw dies in the night, Harry seizes on the chance to escape his tangled past and assumes his identity. But on landing in America, he quickly learns the mistake he has made, when he discovers what is awaiting Bradshaw in New York. Without any way of proving his true identity, Harry Clifton is now chained to a past that could be far worse than the one he had hoped to escape. Miranda Lovelady, Dr. Bill Brockton’s protÉgÉ, is spending the summer helping excavate a newly discovered chamber beneath the spectacular Palace of the Popes in Avignon, France. There she discovers a stone chest inscribed with a stunning claim: inside lie the bones of none other than Jesus of Nazareth. Faced with a case of unimaginable proportions, Miranda summons Brockton for help proving or refuting the claim. Both scientists are skeptical—after all, fake relics abounded during the Middle Ages—but evidence for authenticity looks strong initially, and soon grows stronger. Brockton and Miranda link the bones to the haunting image on the Shroud of Turin, revered by millions as the burial cloth of Christ, and then a laboratory test finds the bones to be two thousand years old. The finding triggers a deadly tug-of-war between the anthropologists, the Vatican, and a deadly zealot who hopes to use the bones to bring about the Second Coming—and trigger the end of time. Set against an international landscape, and weaving a rich tapestry of religion, history, art, and science, The Inquisitor’s Key takes Jefferson Bass to an exciting new level of suspense. Someone has been watching D.A. Rachel Knight—someone who’s Rachel’s equal in brains, but with more malicious intentions. 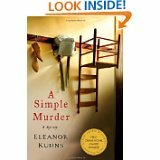 It began when a near-impossible case fell into Rachel’s lap, the suspectless homicide of a homeless man. In the face of courthouse backbiting and a gauzy web of clues, Rachel is determined to deliver justice. She’s got back-up: tough-as-nails Detective Bailey Keller. As Rachel and Bailey stir things up, they’re shocked to uncover a connection with the vicious murder of an LAPD cop a year earlier. Something tells Rachel someone knows the truth, someone who’d kill to keep it secret. Synopsis (from bn.com): While driving to a charming village tucked away deep in the Cascade Mountains of eastern Washington, where she is to begin a new job teaching high school English, Katrina Burton picks up a young hitchhiker who turns out to be drunk and predatory. Fearful for her safety, she lies about her destination in order to get him out of the car. But when she later discovers that he is a teacher at the same school, she finds herself feeding that initial lie with more lies. Then Katrina meets a mysterious man . Handsome, charismatic and strong, he is exactly what she needs to extricate her from the expanding network of lies, now spinning out of control. She falls fast and hard for him. But her perfect solution soon becomes a nightmare that lands her in the middle of a grisly murder. And Katrina’s problems don’t stop there. She must decide whether to betray her new love or to cover up the murder and hope for the best. U.S. President John Merrill is hosting Russian President Dimitri Suslev at a glittering state dinner to celebrate a new economic pact. As the after-dinner toasts begin, the two leaders, their wives, and scores of prominent guests become violently ill. Merrill and Suslev, along with the other stricken guests, are rushed to the nearest hospital. As Secret Service agents struggle to secure the hospital and locate Merrill’s daughter, the President’s personal physician — who’s been withholding critical medical information about the Commander-in- Chief — tries desperately to stabilize the President. In the chaos, Chechen terrorists make their move, breaching the secured area and taking both presidents hostage. Emergency-room physician David Ballineau, a former commando struggling with post-traumatic stress disorder, and trauma nurse Carolyn Ross may be the President Merrill’s only hope for survival. For all of you James Patterson’s lovers, get excited because the 11th book in the Women’s Murder Club series comes out on Monday!! Lindsay Boxer is pregnant at last! But her work doesn’t slow for a second. When millionaire Chaz Smith is mercilessly gunned down, she discovers that the murder weapon is linked to the deaths of four of San Francisco’s most untouchable criminals. And it was taken from her own department’s evidence locker. Anyone could be the killer—even her closest friends. Lindsay is called next to the most bizarre crime scene she’s ever seen: two bodiless heads elaborately displayed in the garden of a world-famous actor. 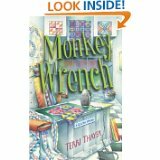 Another head is unearthed in the garden, and Lindsay realizes that the ground could hide hundreds of victims. A reporter launches a series of vicious articles about the cases and Lindsay’s personal life is laid bare. But this time she has no one to turn to—especially not Joe. 11TH HOUR is the most shocking, most emotional, and most thrilling Women’s Murder Club novel ever. If you are like me you just can’t wait for the next book by your favorite author or the next book in your favorite series to come out! Let’s face it us true readers don’t want to wait for it to come in at the library, we want to get to the store and get our hands on that brand new book. So I thought I would begin a new feature to my blog, Upcoming Mystery Releases, to hopefully help us know when our next great books are coming out! So, hopefully I can keep up with this. I know I will miss some along the way, so please let me know if there are great books coming out that I should add to the list! Fly fishing is dangerous? River ranger Mandy Tanner had no idea until days before a huge tournament in Salida, Colorado. True, the Arkansas River can be a man-eater, but the rapids weren’t responsible for driving a hatchet into the neck of would-be competitor Howie Abbott—a secretive man who may have been cheating. While casting about for suspects, Mandy seeks clues from Abbott’s family members, including her best friend, bartender Cynthia Abbott. 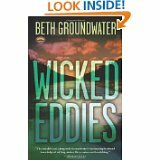 But when Cynthia becomes the prime suspect, Mandy realizes that trolling for the true killer has plunged her way too deep into wicked eddies. 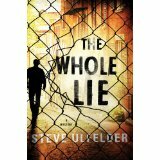 Conway Sax, the no-nonsense auto mechanic with a knack for solving difficult problems for the Barnburners, the renegade AA group who saved his life, is back in The Whole Lie. And for once, he thinks normalcy is within reach. He’s opening a new garage, and he’s finally moved in with longtime girlfriend Charlene. The end of his parole is finally in sight. Then along comes Savannah Kane: smart, smoky, and a pusher of men’s buttons. Seven years ago, Conway helped her disappear—but not before they had a sizzling, knock-down-drag-out affair. Now she’s back with a shocking revelation: she’s the mother of a six-year-old boy. Savvy claims her son’s father is billionaire Bert Saginaw, but Conway (not to mention Charlene) knows she’s back for more than just a family reunion. Saginaw wants to be Lieutenant Governor of Massachusetts. Savvy wants to get paid. Conway wants nothing to do with either of them. But when Savvy turns up brutally murdered, he’s got no choice but to sort lies from truth – even though doing so may cost him his freedom, his lover, and his life in this thrilling and heart-wrenching follow-up to critically acclaimed novel Purgatory Chasm, in the tradition of Robert B. Parker and Dennis Lehane. Five years ago, while William Rees was still recovering from his stint as a Revolutionary War soldier, his beloved wife died. Devastated, Rees left his son, David, in his sister’s care, fled his Maine farm, and struck out for a tough but emotionally empty life as a traveling weaver. Now, upon returning unexpectedly to his farm, Rees discovers that David has been treated like a serf for years and finally ran away to join a secluded religious sect—the Shakers. Overwhelmed by guilt and hoping to reconcile with his son, Rees immediately follows David to the Shaker community. But when a young Shaker woman is brutally murdered shortly after Rees’s arrival, Rees finds himself launched into a complicated investigation where the bodies keep multiplying, a tangled web of family connections casts suspicion on everyone, and the beautiful woman on the edge of the Shaker community might be hiding troubling ties to the victims. It quickly becomes clear that in solving Sister Chastity’s murder, Rees may well expose some of the Shaker community’s darkest secrets, not to mention endanger his own life. The Prisoner’s Wife is a political thriller ripped from today’s headlines –a tense trip through the murky worlds of state– sponsored terrorism, nuclear politics, secret American jails and lawless rendition. Shawn Maguire, unemployed American spy, has been paid to find a young Iranian now being interrogated in one of the CIA’s black prisons. The prisoner may be in Fes, in Cairo or in Peshawar, but Shawn has every confidence that he’ll find his man. Based on his time as an agent, it’s an assignment he knows he can handle. But he’s not so sure he can handle… the prisoner’s wife. 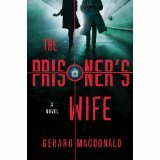 Gerard Macdonald’s The Prisoner’s Wife takes a pulse-pounding look at the political intrigue in the Middle-East. With two weeks left before the annual Quilters Crawl, Dewey Pellicano is excited to showcase her quilt shop after a four-year absence from the crawl. Quilters from all over visit as many quilting shops as they can within a short time. But Dewey’s giveaway planning and Twitter promotion are cut short when her assistant manager, Vangie, is implicated in her boyfriend’s untimely demise following a protest against a campus drug bust. The Burning Man. It’s the name the media has given a brutal murderer who has beaten four young women to death before setting their bodies ablaze in secluded areas of London’s parks. And now there’s a fifth. Maeve Kerrigan is an ambitious detective constable, keen to make her mark on the murder task force. Her male colleagues believe Maeve’s empathy makes her weak, but the more she learns about the latest victim, Rebecca Haworth, from her grieving friends and family, the more determined Maeve becomes to bring her murderer to justice. 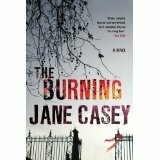 But how do you catch a killer no one has seen when so much of the evidence has gone up in smoke?Maeve’s frenetic hunt for a killer in Jane Casey’s gripping series debut will entrance even the most jaded suspense readers. 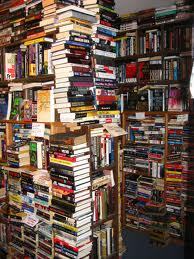 Books Are Life – Vita Libri · This blog is my forum to share my love of reading and my passion for books! !